NORTH BAY, Ont. 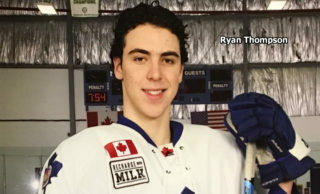 — The quirkiness of the Ontario Hockey League schedule is in evidence once again. 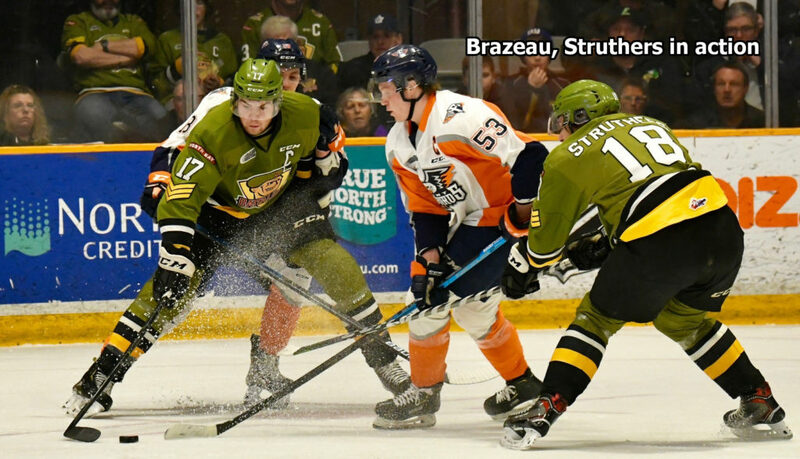 After not having seen action since last Thursday night, the North Bay Battalion plays the first of four games in six days when it visits the Sudbury Wolves at 7:05 p.m. Wednesday. The Troops, who rallied from a two-goal third-period deficit to down the visiting Flint Firebirds 5-4 in overtime on Justin Brazeau’s third goal in their most recent outing, are fourth in the Central Division and eighth in the Eastern Conference with a won-lost-extended record of 24-24-4 for 52 points. That’s one behind the East Division’s Peterborough Petes and Hamilton Bulldogs, who are tied for sixth in the conference, with the top eight teams qualifying for the playoffs. Sudbury is 33-16-3 for 69 points, second in the Central and tied with the Oshawa Generals for third in the conference. The Wolves are 4-2-0 against the Battalion, having won the last two meetings with shutouts by goaltender Ukko-Pekka Luukkonen, 5-0 at Sudbury on Jan. 16 and 7-0 at North Bay on Jan. 24. “They’ve embarrassed us twice, (and) I’m a prideful person,” Battalion assistant coach Adam Dennis said Tuesday of the Wolves, who have won their last eight games. “I think most of our guys are, so that’s motivation enough. Dennis said there’s plenty of room for better results for the Troops, 1-2-1 in their last four games. 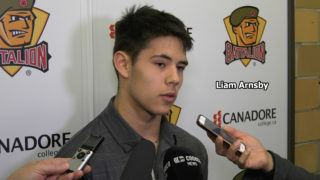 The Battalion does boast a number of quality wins, including over the Ottawa 67’s, the Sault Ste. 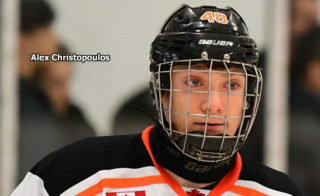 Marie Greyhounds in overtime on the road, the Niagara IceDogs in a home-and-home sweep that included an overtime decision at St. Catharines, the Kitchener Rangers, Oshawa, the Guelph Storm on the road and the London Knights in overtime. 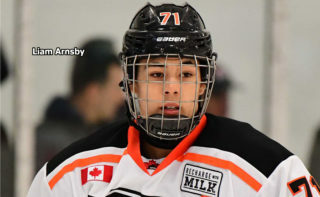 Centre Quinton Byfield, the first overall pick in the OHL Priority Selection last April, leads Sudbury scorers with 19 goals and a team-high 27 assists for 46 points in 48 games, while left winger David Levin, the No. 1 pick in 2015, has 18 goals and 24 assists for 42 points in 43 games. Centre Blake Murray, a first-rounder in 2017, has scored a team-leading 26 goals and added 15 assists for 41 points in 51 games. Sault Ste. Marie visits Memorial Gardens on Thursday night before the Battalion plays host to the Mississauga Steelheads on Sunday and visits Ottawa for a Family Day matinee Monday. 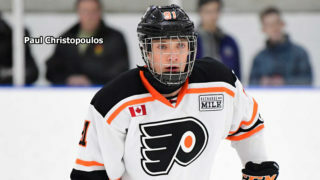 Brazeau, with 48 goals and 41 assists for 89 points in 52 games, is second in the OHL scoring race, four points behind fellow overage right winger Tye Felhaber of Ottawa, who has a league-leading 53 goals and 40 assists in 54 games. Right winger Jason Robertson of Niagara and centre Morgan Frost of Sault Ste. Marie are tied for third with 88 points apiece, Robertson on 39 goals and 49 assists in 47 games and Frost from 34 goals and 54 assists in 46 games. “Coming into the year I kind of wanted the best year possible, and it’s obviously been a good year for me,” said Brazeau, who skates on a line with centre Matthew Struthers and left winger Luke Burghardt, the latter having played only 24 games this season after a spinal issue threatened to end his career. 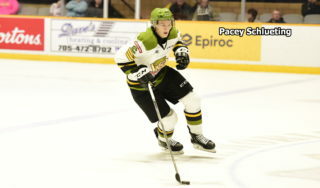 Brazeau, the club’s scoring leader in the North Bay era with 115 goals and 99 assists for 214 points in 252 games, is chasing several franchise records in his fourth season after being a 13th-round pick in the 2014 OHL Priority Selection. Mike Amadio holds the record of 50 goals in a season, set in 2015-16. Brazeau’s current total is the second-highest, and Wojtek Wolski’s 47 goals in 2005-06 for Brampton are third. Other Battalion players to have scored 40 goals in a season are Raffi Torres and Cody Hodgson, with 43 in 1999-00 and 2008-09 respectively, and Hodgson and Evgeny Grachev, each with 40, in 2007-08 and 2008-09 respectively. Wolski added a franchise-record 81 assists in 2005-06 for a record 128 points that season. Amadio had 48 assists and 98 points in 2015-16, the second-best season points total in club annals. The game at Sudbury can be seen live in North Bay on YourTV Channels 12 and 700 and heard on Country 600 CKAT.